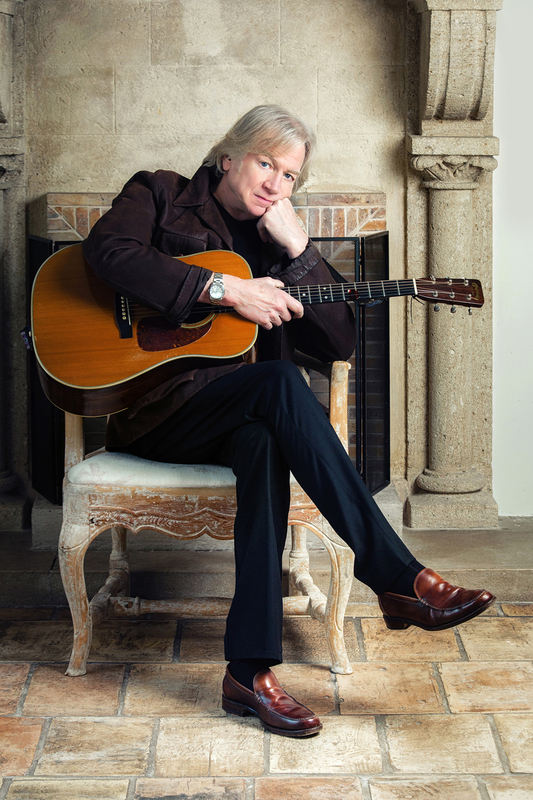 Justin Time: Moody Blues’ frontman Justin Hayward, heading back to the UK for an In Concert tour. 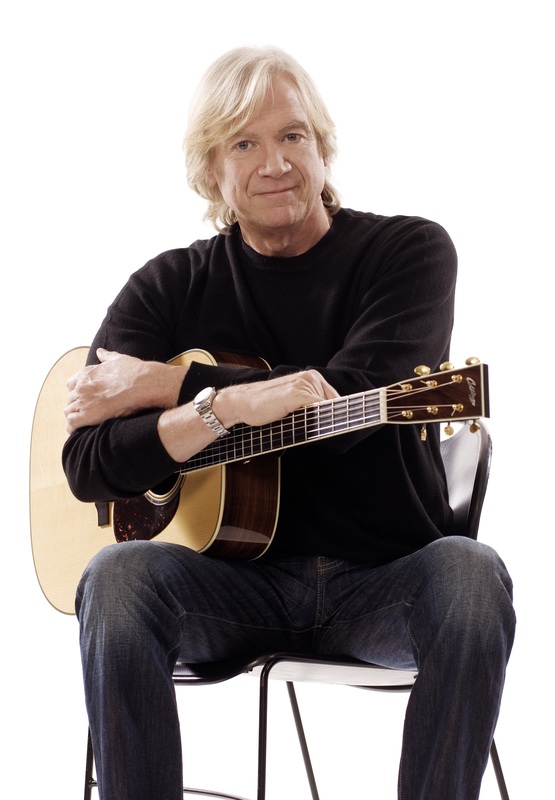 If I made Justin Hayward feel old right from the outset of our conversation, he had the good grace to laugh and carry on talking to me. My genuine respect for his back-catalogue probably helped, mind. I was telling him that while I’ve not long since hit 50, I worked out that his first LP with The Moody Blues, Days of Future Passed, was released when I was just a fortnight old. The album that spawned Nights in White Satin has certainly stood the test of time though. In fact, it was the album that had the lowest chart placing of 13 studio LPs they released up to 1988, that tally including UK No.1s with On the Threshold of a Dream (1969), A Question of Balance (1970) and Every Good Boy Deserves Favour (1971). But what do the buying public know? It came from the right place. I spoke to Justin on the 50th anniversary of The Zombies’ Odessey and Oracle album’s release date (with a link to our January 2016 interview with Colin Blunstone here), and told him I saw that LP in a similar light – the right mix of experimentation, good songs and strong musical ideas. That whole period for me was just such a creative time for music – everything from The Beatles and The Beach Boys trying to outdo each other, through to The Kinks. 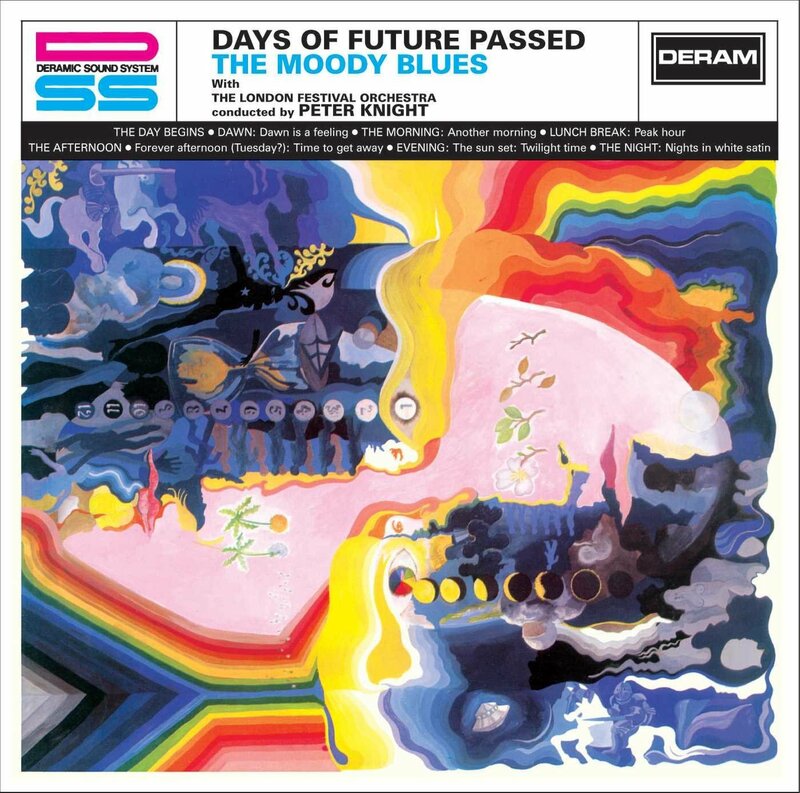 Days of Future Passed is often cited as a prog-rock prototype album, not least through including classical elements. Was that a happy accident or something you set out to do? So they gave you a blank canvas, in a way. Justin was in Surrey when he called, dropping in on his sister from his European base ahead of a flight the next day to the Netherlands and a date in Utrecht, the opener on his latest tour. 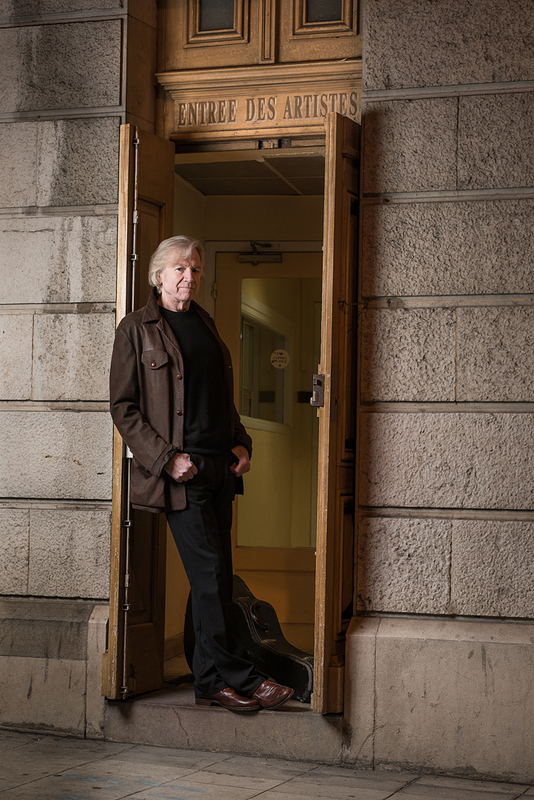 His home is ‘near the Italian border’, and he’s a partner in a studio in Genoa, where he’s been working ‘the best part of 20 years now,’ with much of his solo material and work with The Moody Blues – the Moodies as he refers to them – recorded there. I hear traces of his Swindon, Wiltshire – the former GWR works town that also gave us XTC – upbringing when he says ‘years’, and Justin’s retained a strong West Country affiliation, spending lots of time in West Cornwall, where he had a home for many years, and where his daughter still lives and works. That gave me a chance to reminisce on my own regular trips to Lelant, just outside St Ives, a village we have in common, both having first visited that area in the early ‘70s – me barely six, Justin 27. In his case it involved a holiday with wife Ann Marie, the French model he married in late 1970, a short break after his band’s work on 1972 album Seventh Sojourn – their last studio album before a six-year hiatus, released the year his daughter Doremi was born – becoming much more. That’s easy for him to say, I suggest. Were the Moodies still in Birmingham when you first hooked up with them in 1966? Idyllic as your home base must be, do you miss the UK? Justin’s currently looking forward to his live return to the UK, backed by virtuoso guitarist Mike Dawes and vocalist Julie Ragins. “Mike’s an unbelievable guitar player. My guitar-tech, Chris, and I one night at a soundcheck said, ‘Can we just stand really close and watch you play and see if we can work it out? He said okay, so we stood about two feet away. When he finished playing, Chris said, ‘No, I still don’t get it’. And nor did I. I don’t know how it’s done. And then there’s Julie, who has the voice of an angel. She just loves these songs, and we’ve been working together for a long time now. We’ll come back to that 1978 hit later. Does it tend to just be you and a guitar when you write? While I and many more knew Nights in White Satin well (making the UK top-10 on its release in 1972), I admit I knew your work on Jeff Wayne’s musical adaptation of The War of the Worlds before I knew great singles like 1973’s Question (No.2 in the UK). 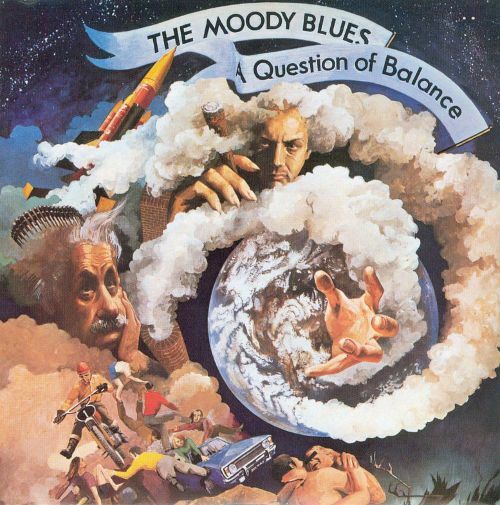 So what had changed in between Days of Future Passed and the A Question of Balance LP in 1970, approach-wise? “We were very insecure about a lot of our recordings and it started to dawn on us that there might be something in it. We made an album called On the Threshold of a Dream in early ’69 which did very well, getting to the top of the charts in this country. And everyone knew it in America. “Then we followed that with an album that was completely obscure and self-absorbed, To Our Children’s Children’s Children, and got to a stage where we couldn’t play the songs on stage – the overdubbing was so impossible, so much, and overlaid. And it remains powerful, to this day. One name that seems to have popped up on your CV more than any other over the years is bandmate John Lodge, and not just with the Moodies. Are you still in regular touch? That was in Cleveland, Ohio, with the band inducted alongside Bon Jovi, The Cars, Dire Straits, Nina Simone and Sister Rosetta Tharpe. Quite a coup for the band. Justin’s first Moodies’ single was 1966’s Fly Me High, just after he was brought in to replace Denny Laine. At this point I admit to Justin I was first aware of Ambrose Slade’s version on 1969 debut album Beginnings, before that band dropped the first half of their name and went on to mega-success. As it turned out, Justin was unaware of that cover. He does too, and was set up to listen when I finally got off the phone and left him in peace. I wonder what he made of it. I like both versions, for the record. You mention Mike Pinder, of whom you’ve said before, ‘Mike and the Mellotron made my songs work.’ I know he’s been out of the band for 40 years, but it appears that you keep in touch with all of the first line-up you were part of. Things like losing Ray must make you realise time’s not guaranteed. 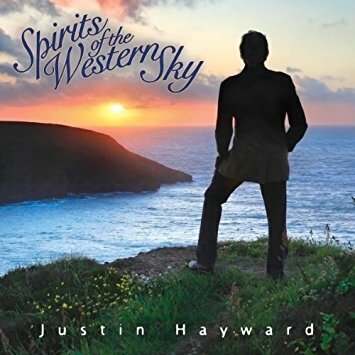 There have been plenty of Moody Blues reunions over the years, and then there’s your solo career, including eight studio albums from 1975’s Blue Jays with bandmate John Lodge through to 2013’s Spirits of the Western Sky. Ever feel the need to remind the wider world that, far from it, you haven’t been quiet since The War of the Worlds? 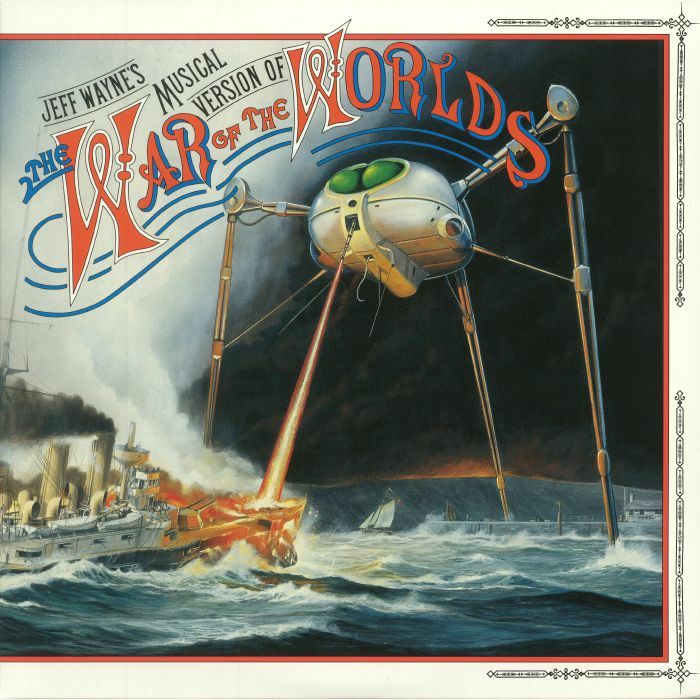 Bearing in mind my Surrey roots, and your link to November 2014 writewyattuk interviewee Jeff Wayne’s musical adaptation of The War of the Worlds, with H.G. Wells’ story set on my old family patch around Woking, I wonder if you read the book when you were growing up. Knowing the geography makes the story that little bit more real, doesn’t it? Was your The War of the Worlds experience a happy period? Did you get to work with David Essex, Phil Lynott, and Richard Burton, or were you just recording your own parts? At this point, Justin gives me a rendition of that distinctive theme tune, in many ways the sound of Saturday night for a couple of generations. I still listen to that album now and again, sometimes in the car, which is probably not the greatest idea, to be honest. My eldest daughter was telling me there’s a new film or at least a mini-series on its way, featuring Eleanor Tomlinson, of Poldark fame. I’m intrigued by that. Do you miss your family when you’re out on the road? Or does Ann Marie travel with you? You’ve been married a long time (47 years and counting). 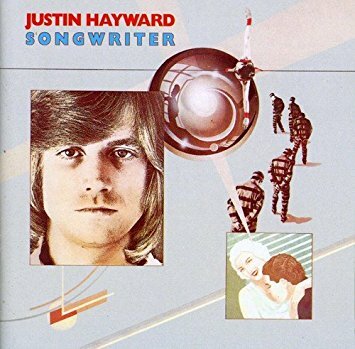 Finally, for those who’ve missed out over the years and maybe just know the big hits, where should they start on the Justin Hayward back-catalogue? Do we start with Spirits of the Western Sky and head back? “I think … it started for me with Blue Guitar, recorded when the Moodies were still together, when Decca didn’t want to release any solo thing. The original version was recorded with the guys from 10cc. I have a compilation album out now called All the Way, and the original version is on that record. “That was the version that was released, but it was remixed by Decca, with an orchestra put on it. The record actually was me and Eric Stewart, recorded at Strawberry Studios in Stockport, where I was a director for many years, with Graham Gouldman on bass, Lol Crème on gismo, and Kevin Godley on drums. So what you’re really saying at this point is that we should catch up with the whole of the back-catalogue, right? This entry was posted in Books Films, TV & Radio, Comedy & Theatre, Music and tagged Days of Future Passed, Decca, Forever Autumn, HG Wells, Jeff Wayne, John Lodge, Johnny Halliday, Julie Ragins, Justin Hayward, Mike Dawes, Mike Pinder, Nights in White Satin, Question, Rock and Roll Hall of Fame, St Ives, Swindon, The Moody Blues, The War of the Worlds, Tony Visconti. Bookmark the permalink.